In partnership with Petty’s Garage, Military AutoSource (MAS) is proud to reveal the 2019 Petty’s Garage Warrior Mustang. This amazing, limited edition Mustang is designed in tribute to the U.S. Military and available exclusively through Military AutoSource. 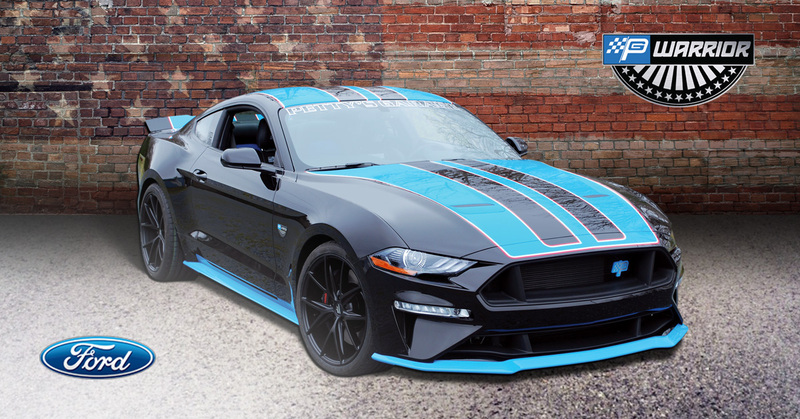 The Petty’s Garage Warrior Mustang delivers all the adrenaline-pumping excitement you would expect from these two performance icons: Richard Petty and the Ford Mustang. This well-equipped Mustang is enhanced with an Edelbrock Supercharger producing 675 horsepower and 540lb.-ft of torque. Combined with custom Petty’s Garage components and Warrior design cues, this Mustang is a must have for all performance enthusiasts. This third edition of the Petty’s Garage Warrior Mustang is built on the GT and is available in both a manual or automatic transmission. There are two unique Warrior packages that you can choose from: Level 1 and Level 2. Request a quote below for more details about specs and speak to a Sales Representative to learn more.